‘Tis the season to go shopping! That’s how the song goes, right? The days following Thanksgiving are the biggest shopping days of the year; Black Friday and Cyber Monday. They are both great times to do your holiday shopping, but which one is best? Whether you choose to participate in both or one or the other, they both have pros and cons. In case you have been living under a rock, Cyber Monday is like Black Friday, but for online retailers. Through the years it has been growing in popularity, and for good reason! One of the main pros of Cyber Monday is that you don’t have to leave the comfort of your own home (or pajamas) to get Black Friday-type deals for your holiday shopping. Instead of leaving Thanksgiving dinner early to get the best deal on a new TV, you can just wait for Monday and shop from home, or maybe a little from work. But really, Black Friday deals are getting more out of hand with the sales starting Thursday night before you can finish your Thanksgiving dinner. Cyber Monday allows you to be able to spend more time with your family on Thanksgiving without worrying about missing out on any hot deals. Besides not having to leave the comfort of your own home, you also don’t have to wait in any lines for Cyber Monday. There is no risk of being trampled by the masses over a new iPad when you can just be at home or at work safely on your computer. Online shopping also allows you to compare prices more easily on things that are on your holiday shopping list this year. With a click of a button, you can effortlessly find the best deals. Last but not least, another pro about Cyber Monday is that, thanks to Amazon, most online retailers will offer free shipping to better compete with the online giant. So not only are you saving on gas and time, you will also save on shipping costs. You are probably thinking that Cyber Monday couldn’t possibly have any cons, but nothing is perfect. One drawback of Cyber Monday and online shopping in general, is that you can’t test out products like you might be able to in a brick-and-mortar store location. While you can read reviews about the clarity of that new Samsung TV, you can’t actually see it for yourself. Another inconvenience of Cyber Monday is that it comes after Black Friday. This means that inventory might be low from the intense shopping that is Black Friday and you might miss out on something that’s on your holiday shopping list. Also, though most retailers will most likely have free shipping, some may not. If you don’t mind paying the extra $5, great! But for the most part paying for shipping is a downside. If you see shopping as an extreme sport, then Black Friday is your Super Bowl. A lot of retailers will distribute their Black Friday ads in the days leading up to it. This allows you to map out your shopping plans before the day arrives. In addition to the door-buster deals available on Black Friday, you also have the advantage of being able to see what you are buying in real life. What you see is generally what you get. When it comes to electronics, you can actually test them out before making the commitment to purchase them. Unlike Cyber Monday shopping where you have to wait days for your purchase to arrive, you have the immediate satisfaction of having your item in hand that day if you shop on Black Friday. If you have ever shopped Black Friday before, you know one of the worst things has to be all of the lines you wait in before your favorite stores actually open. Because a lot of people know exactly what deals the retailer is offering and what they are getting specifically, there can be some stiff competition. We’ve all seen images of people who have even been injured by the trampling of the masses when the stores open their doors. Similar to Cyber Monday, certain deals are only applied to a certain quantity. If you aren’t one of the first 100 people in line, you could miss out on getting the newest video game console. Once the inventory is gone for Black Friday, that price is gone forever. On top of that, it will be almost impossible to find a store representative that has time to check the quantity for you. It’s every man, woman, and child for themselves. 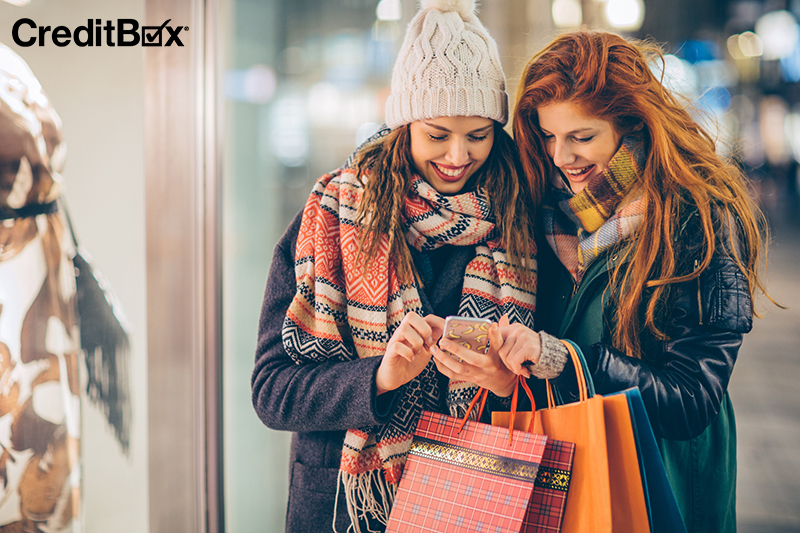 If you need an installment loan to shop Black Friday or Cyber Monday this season, apply now with CreditBox! Use our easy application to get next day funding and instant pre-approval online for loans up to $4,000. 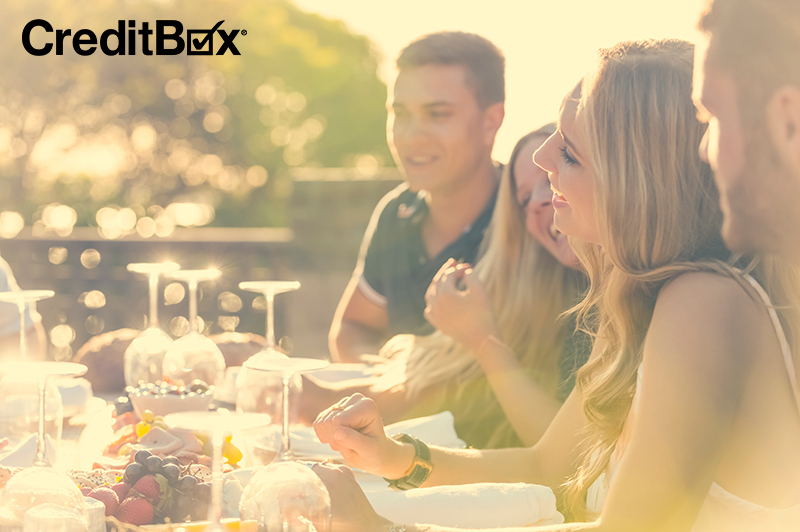 The information on this site is provided with the understanding that CreditBox, L.L.C. is not herein engaged in rendering legal, accounting, tax, or other professional advice and services. As such, it should not be used as a substitute for consultation with professional accounting, tax, legal or other competent advisers. Before making any decision or taking any action, you should consult a legal, accounting, or tax advisor.